On the eve of the 2016 NHL Entry Draft we compile a whole bunch of useful things for Sens fans to help get you ready for the weekend. 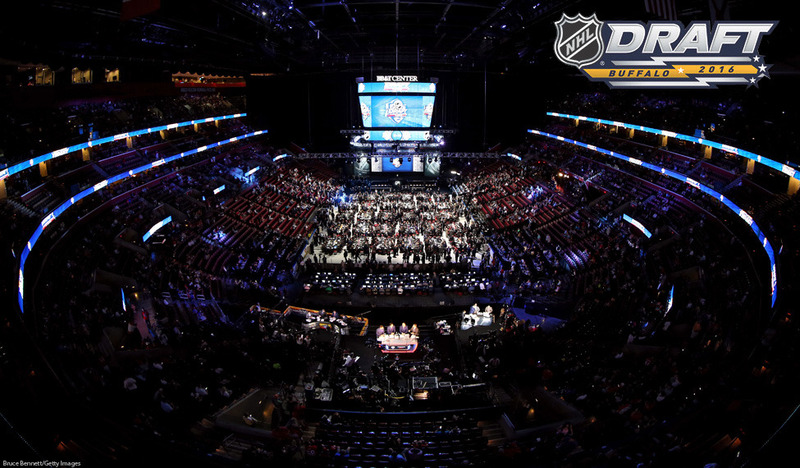 The Draft is set to take place on June 24th and 25th at the First Niagara Center in Buffalo, New York. As usual, the first round goes down on Friday night starting at 7 p.m. while rounds 2-7 run on Saturday at 10 a.m. You can catch every selection on Sportsnet in Canada and NBCSN in the US. Only a few spots left at the Official #Sens Draft Party at @SensHouseOttawa. A couple of slight changes for this year as Ottawa's owned third round pick was sent to New Jersey as part of a deal at last year's Draft that saw the Sens move up to select Gabriel Gagne. That pick was replaced by a 2016 third round selection acquired from the Islanders for Shane Prince and the Sens' seventh round pick this year. As of now, here's a look at when the Sens are set to take the podium this weekend. The Sens have only drafted 12th overall once in franchise history and it was a memorable selection as Ottawa picked Marian Hossa at #12 in the 1997 Draft. Hossa went on to play 467 games for the Senators between 1997 and 2004 registering 390 points. Obviously, myself being a new general manager I've been fielding a lot of calls. Guys are introducing themselves but at the same time I've found that compared to previous years there's been lots of activity and talk. In previous years sometimes talking with Bryan (Murray) he'd say "Well I didn't talk with many GMs over the course of the week" but over the course of the last few weeks I've pretty much touched base with at least 25 guys. There's always a possibility of moving up but realistically at this point in time every scout, every chief scout, every director of player personnel is telling their GM that every pick in the top 10 is so valuable. It's maybe one of the upsides to missing the playoffs in getting to pick earlier in the draft so if I was a gambling man, and I'm not really, I'd say we're probably going to end up picking 12th. Really excited about #12. There's probably 15-18 guys that I like in the first round. I mean really like. I know at #12 we're going to get a quality player whether it's a top 4 defenceman or top 6 forward. Someone that might have a chance to play next year but realistically might not play next season but within a few years they'll definitely play and contribute. The situation: The Senators have six picks at the draft, starting with No. 12 in the first round. They should look to add a center who could play on the top two lines. The prospect pool already looks good with center Colin White (2015, No. 21), defenseman Thomas Chabot (2015, No. 18), left wing Nick Paul (trade, 2014, Dallas Stars) and left wing Matt Puempel (2011, No. 24) at the top. White was named to the Hockey East All-Rookie Team after he had 43 points in 37 games. Chabot had 11 goals and 34 assists in 47 games for Saint John in the Quebec Major Junior Hockey League. Paul, who was acquired in the Jason Spezza trade and made his NHL debut this season, has shown promise as a prototypical power forward. Puempel had 17 goals and 30 points in 34 games for Binghamton of the AHL, and two goals and one assist in 26 games for the Senators.